White LED Bulb 432 LEDs, 24VDC Rugged Military Grade.! 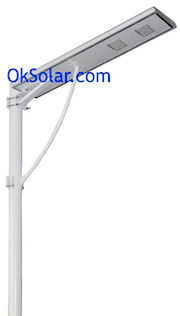 LED Street Light 35 Watts - 3400 Lumens. 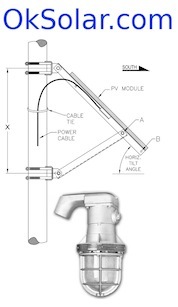 LED Street Light 65 Watts LED - 6175 Lumens. LED Cobrahead Street Light 135 Watts LED - 12825 Lumens. LED Cobrahead Street Light 230 Watts LED - 21850 Lumens. 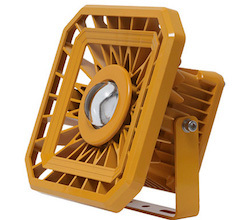 Offshore Oil Platform Explosion Proof LED Lights, Applied to oil fields, oil refineries, offshore oil platform, power plants, gas stations, oil tanks, wharf, tunnel, pumping station, substation, the military base,etc. Zone I and Zone Hazardous Locations, Zone 20, Zone 21, Zone 22 and Ⅱ A, Ⅱ B, C explosive gas atmosphere. Explosionproof Lights LED 400+ Super Bright LED. Explosion proof Lights LED 400+ Super Bright LED Rugged. LED Explosionproof Lights Military use LED 400+ Super Bright Rugged. Military Solar Powered LED Explosion proof Lights Super Bright LED Military use. High Power Led Tunnel Light, 5000 Lumens, Input Voltage 85-264VAC, Frequency Range 47~63 Hz. High Power Led Tunnel Light, 2500 Lumens, Input Voltage 85-264VAC, Frequency Range 47~63 Hz. High Power Led Subway Light, 2500 Lumens, Input Voltage 85-264VAC, Frequency Range 47~63 Hz. Subway High Power Led Light, 5000 Lumens, Input Voltage 85-264VAC, Frequency Range 47~63 Hz. Solar Bus Shelter Lighting Self Contained Solar, human infrared motion sensor module Illuminating bus shelters at night increases passenger security and the perception of safety for public transport users. Solar Bus Shelter Lighting Self Contained Solar, human infrared motion sensor module Illuminating bus shelters at night increases passenger security and the perception of safety for public transport users. Running Time Dusk to Down, World Zone 4 (4-5 Hours of Daily Solar Radiation). Offshore Oil & Gas Marine Lanterns Solar Powered Warning Lights, Solar Tower Obstruction Light - Applications: Obstruction light for a wide variety of cranes used in Harbors, Metallurgies, Towers (Telecom, GSM,Smokestacks, Buildings and any other potentially hazardous obstructions for air traffic with a steady burning red or flash safety light. Offshore Oil & Gas Platform Solar LED Lights Self Contained Running Time Dusk to Down, World Zone 4 (4-5 Hours of Daily Solar Radiation). Click here to see more Bus Stop Solar LED. Offshore Oil & Gas Platform Solar LED Lights 40 Watts, Running Time 8-10 hours, World Zone 4 (4-5 Hours of Daily Solar Radiation). Click here to see more Products in this Category. ! 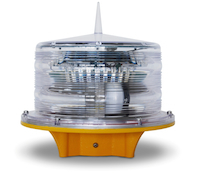 Offshore Oil & Gas Platform Marking, Temporary Wind Farm Lighting Solar Obstruction and Marine Marking Light completely self-contained LED lights are designed to suit a range of aviation and general applications including Obstruction, emergency airstrip, caution, taxiway, and threshold lighting.